With endless open space, over 16 lakes and some of the most popular family activities in the UK, it is not surprising that the Lake District is a number one holiday destination for families over the February half-term. For those days or evenings where you’re not heading out on the water, taking a pony trek, building Stick Man ‘family tree’ houses, looking for crabs on the beach or swinging from a Tarzan swing, you’ll enjoy relaxing in your hand-picked February half-term holiday cottage, which include games consoles, DVD’s, Netflix, highchairs, private gardens, leisure club access, plus so much more. We take a look at five Lake district children’s activities you’re sure to love this half-term, 2016. 1 Not too icy for Gingerbread ice cream! Windermere Lake Cruises is one of the most popular tourist attractions in the UK and perfect for all the family, including bike-riders and our four-legged friends. Have a look at this heart-warming drone footage, just taken this month of the recently snow-capped Lake District fells and Windermere’s glossy waters. The steam cruises plus so many more activities makes Windermere the ideal destination for holidays in the Lake District with children. Their ‘combined tickets’ are great for planning your family half-term day out, where you can ditch the car and visit local south Lakeland attractions like Brockhole Visitor Centre, The World of Beatrix Potter, The Lakeland Motor Museum, Lakes Aquarium and Lakeside & Haverthwaite Railway, all by cruise making for a fun-filled day out for all the family sure to keep everyone entertained. Combining tickets not only means the day is all planned out (breath sigh of relief), including shuttle bus from piers to attraction, you make savings on ticket prices, it saves on parking costs and also means you can spend the whole day enjoying quality family time and not looking for parking spaces, maps and timetables. Discounted prices for booking tickets online also well worth taking advantage of for organised parents. Whilst in Windermere, do not miss ‘sticky toffee’ or ‘Lakeland gingerbread’ ice-creams all made form mouthwatering local ingredients from the Windermere Ice Cream Co. , milk from Low Sizergh Farm and ‘Fellside Gingerbread’ from Ambleside Apple Pie Company. 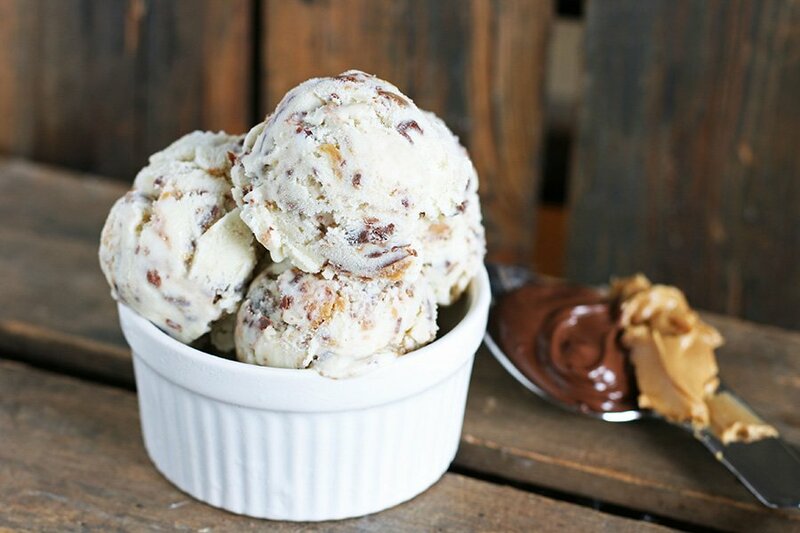 Not one’s to be left behind here in the Lakes, we hear that that Windermere Ice Cream company have many exciting new flavours and a lactose-free ice cream in a tub is coming soon too so no one misses out! Take a walk along the vibrant lakeside promenade at Windermere and you’ll see the ice cream shop next to ‘Toys & Hobbies’, a specialist toy shop where you can pick up holiday treats like Lego, Playmobil and Sylvanian Families. 2 “Cinders and Ashes!” open for half-term! Been desperate to take your train-loving toddler on a real steam ride through tunnels and beautiful countryside? Well Lakeside and Haverthwaite Railway, closed for Winter, tell us they’re open especially for half-term (13th- 21st February 2016) so families can enjoy a nostalgic trip on a steam train in the beautiful south Windermere region. When you arrive or board at Haverthwaite station, don’t forget to look out for the real-life signal box, water tower, bridge, coaling stage and goods dock – all fond features from the Thomas The Tank Engine fictional railway stories. Can you also spot scenes from the Harry Potter films? Visit the engine shed and pretend to be the ‘Fat Controller’, checking maintenance of the steam and diesel locomotives! Watch the engines roll by from the raised picnic area and kids can play on the fantastic woodland playground perfect for all ages. The locally brewed, from Ulverston Brewing Company, ‘Fairburn Ale’ is also sure to keep Dads happy too in the ‘Station Restaurant’. 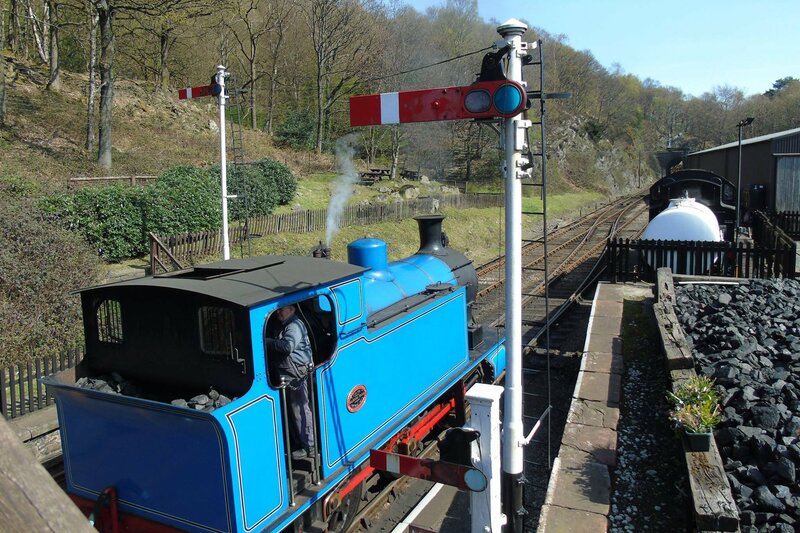 Lakeside and Haverthwaite Railway re-opens after half-term in Spring from 24th March. Aira Force waterfall on the Southern end of Ullswater in the North Lakes is one of the largest in the Lake District, tumbling 65ft from a stone footbridge. Luckily for holidaymakers it is one of the easiest to get too and has a very family-friendly ½ mile walk up to it from the lakeshore car park. During busy holidays, like half-term, it can be a good idea to leave the car behind and jump on one of the five steamers cruising Ullswater, rather than battle for a parking space in this extremely popular Lake District walk. After a walk up to the falls and around the surrounding Victorian ‘pleasure garden estate’, looking out for the ‘wishing tree’, you can sail away the rest of the day with Ullswater Steamers from the new Aira Point jetty. Oh, and don’t forget to take your camera and look out for red squirrels following ‘Cyril’s Squirrel ramble’, where you follow the map (from the Aira Force National Trust Shop) and Cyril Squirrel’s clues to unlock the password! Ullswater, ‘Queen of the English Lakes’ is said to be the ‘most beautiful’ in the National Park. It’s definitely worth seeing her in all her glories from a cruise where parents, grandparents and kids alike can you can all enjoy the views and wildlife. Holidays with children are ideal in the Lake District with so many all-year-round activities to keep little ones occupied! Whilst you don’t come to the magical Lake District especially to watch a film, there’s no denying that sometimes you just want to make the kids happy. And what more of a treat, for grown-ups too, than to head to local Ambleside cinema Zeffirellis (included in the Guardian top 10 best independent cinemas 2010) where this half-term you could catch the latest ‘Alvin and the Chipmunks: Road Chip’ or Jack Black’s somewhat scary and magical adventure ‘Goosebumps’, described as ‘a frightfully fun flick for families’. ‘Goosebumps’ has gone straight to DVD so you could buy it in advance and enjoy from your cosy home-from-home holiday cottage. There’s a pizzeria and café at Zeffirellis too, perfect for post-film fill-up. 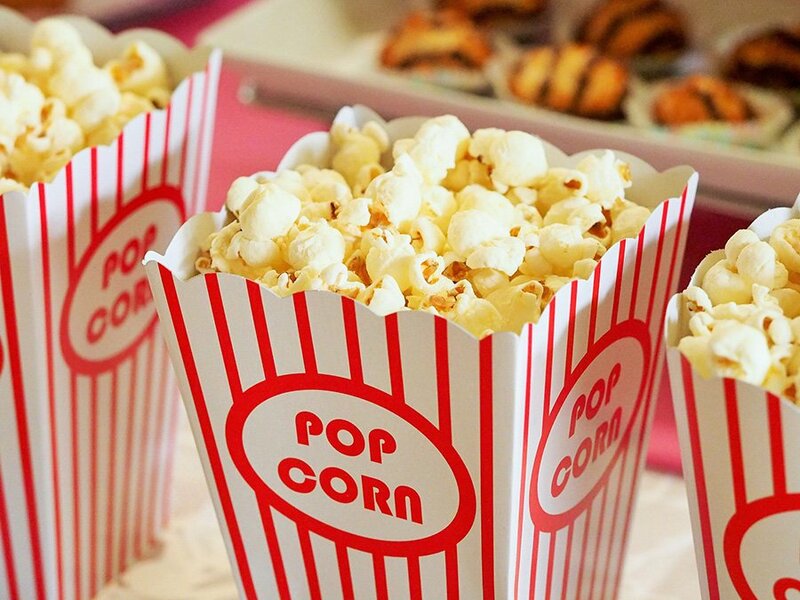 If a trip to the cinema is not a regular occurrence, make a treat of it by visiting an independent local cinema whilst on holiday this half-term, and don’t forget the popcorn! Join one of Cumbria’s leading storytellers and theatrical performer Ian Douglas this half-term as he tours various popular family venues across the Lake District spreading tales, myths and legends that all the family will enjoy. It’s National Storytelling Week over January 30th to Saturday February 6th 2016 so try to catch storyteller laureate Taffy Thomas if you can. His 2016 tour includes a couple of visits to South Lakeland Storytelling Club. Head to Brockhole Visitor Centre on 19th February. Enjoy the huge outdoor playground (5-14 years olds) and under 7’s area where you’ll find adventure unlike most play parks, including rope walks, zip wires and scramble nets or head into the Lake District tree canopy in the unique ‘Treetop Nets and Trek’, for 3 year old plus, for even more adventure. 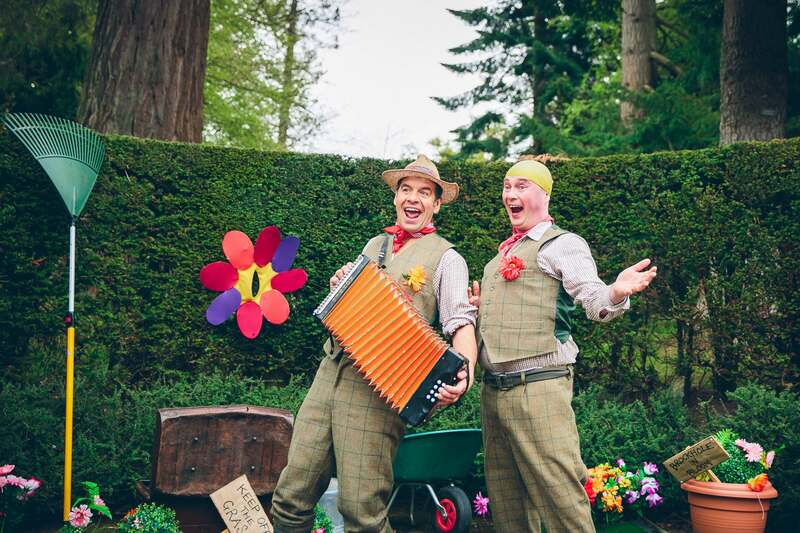 After enjoying the outdoors book tickets for some of Brockhole’s half-term treats, including ‘Lakeland Storytelling’ and ‘Animal Encounters’, where kids can meet Gizmo and Spike the sugar gliders, Felix the polecat, Charlie the chinchilla and Tiggywinkle the hedgehog! If you’re planning on staying in the North Lakes, Ian Douglass’ magical storytelling performances can be enjoyed at Rheged on 15th February. This is certainly an experience not to be missed! Choose the location of your Lake District holiday cottage carefully and you’re sure to be but a stone’s throw from child-friendly cafes and pubs and an array of family fun activities, making for the perfect family half-term getaway. With so much to choose from, what do your kids love the most about a holiday in the Lake District?